and excitement. 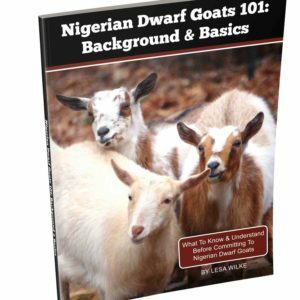 Excitement about the birth of new Nigerian Dwarf goat kids, and apprehension over whether everyone will arrive without issues. 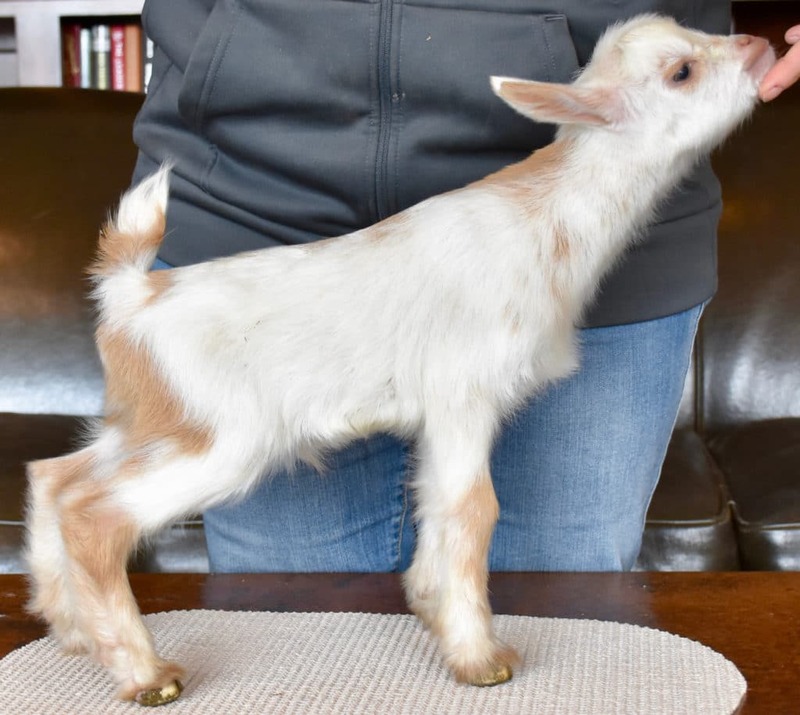 On Tuesday afternoon (4/2/19 at about 1:00 PM – 147 days), Bramblestone Harle Quinn decided it was time. She delivered one buckling and two doelings. 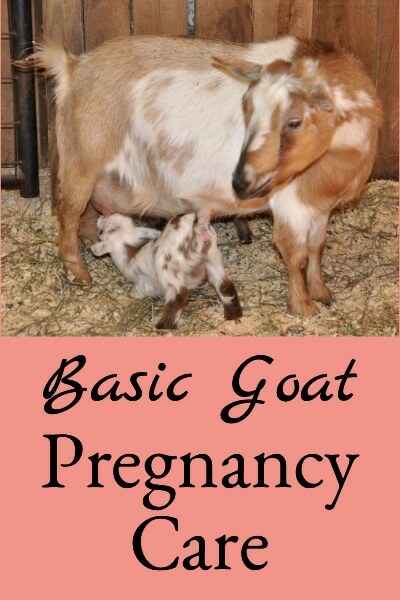 They were all in the correct orientation for easy births, and it happened very quickly. 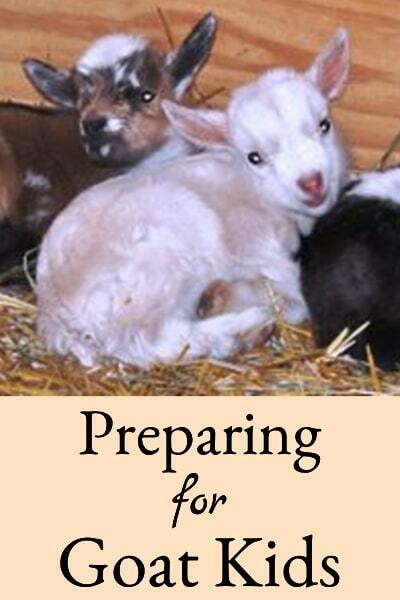 The first to arrive was a doeling – light golden brown in coloration (she reminds me of their sire – Old Mountain Farm Springloaded). She weighed 3.9 lbs. and looks very long and refined. We’re thinking of naming her Bramblestone SL Eowyn. The second to arrive was a 4.3 lb. buckling with similar coloration as Eowyn. 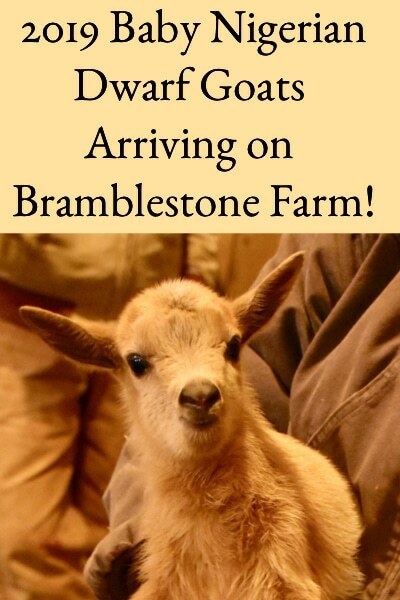 We’re thinking of naming him Bramblestone SL Legolas. The third to arrive was a 3.1 lb. doeling. 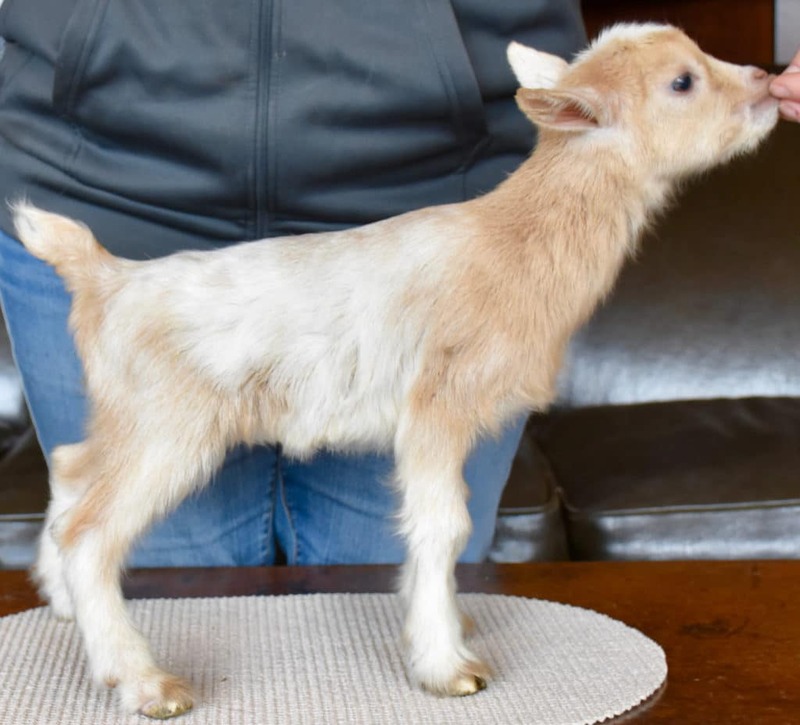 She’s got her dam’s coloration and we’re thinking of naming her Bramblestone SL Arwyn. We’re always so relieved when everyone arrives healthy! 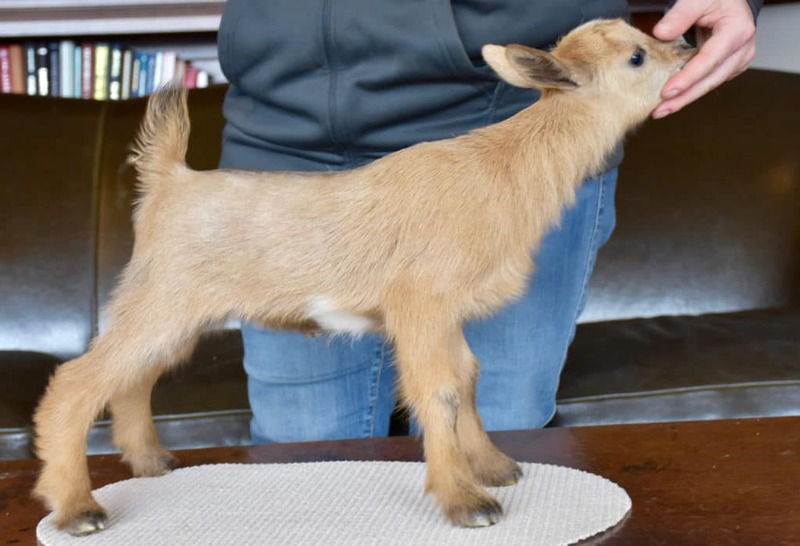 Again on Tuesday (4/2/19 at about 9:00 PM – 148 days), Bramblestone Ostara Quinn also decided it was time. 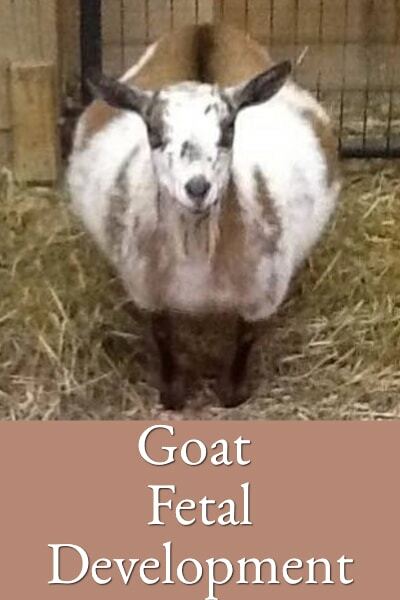 She had two polled doelings again sired by Springloaded! 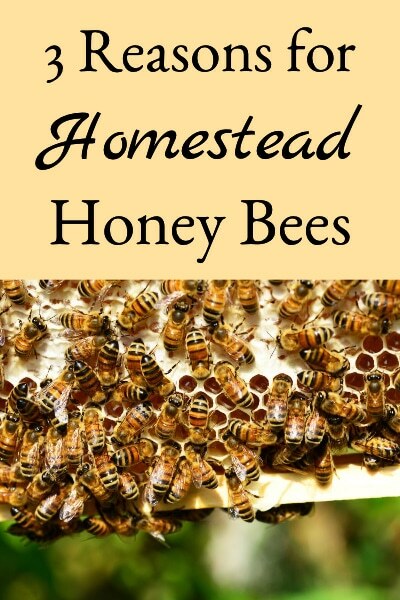 Everyone was in the correct presentation so everything went quickly and smoothly. The first weighed 4.8 lbs. and is all black except for a white spot on top of her head. We’re thinking of naming her Bramblestone SL Keiryn Quinn. 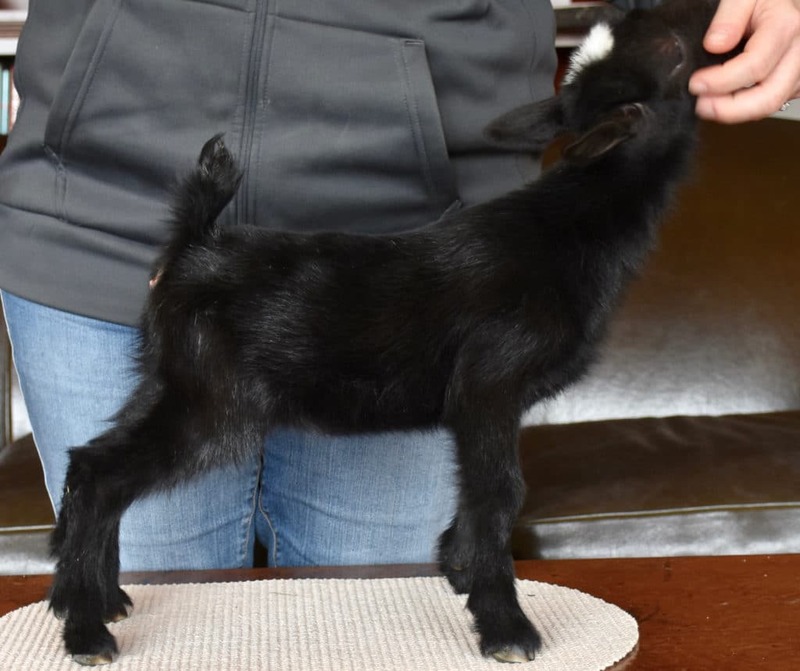 The second doeling was 4.7 lbs. and has colors more like Springloaded. We haven’t come up with a name for her yet. 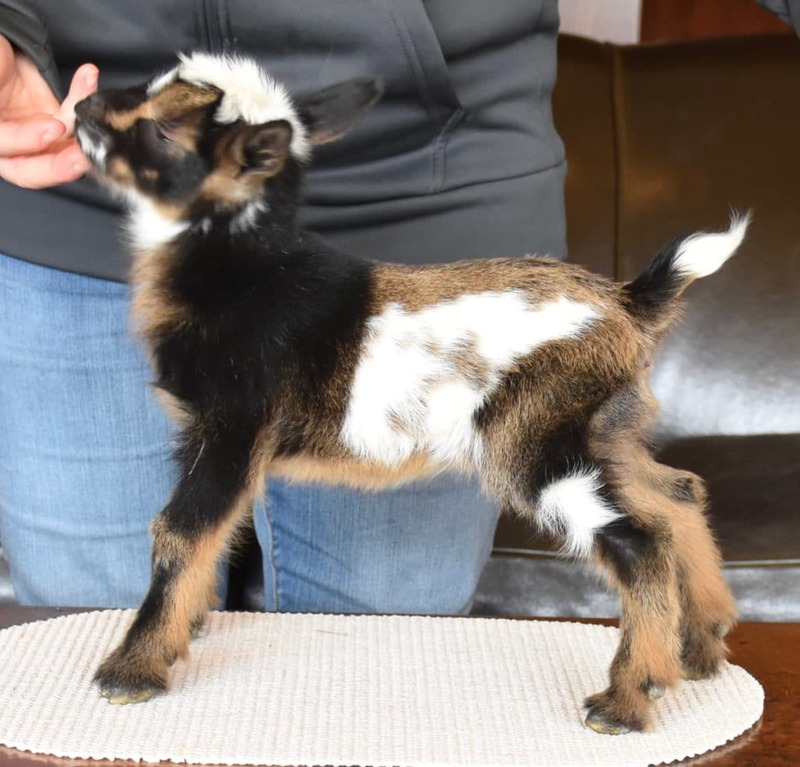 You can see more pictures of all babies as they’re born at the 2019 Goat Kids & Sales Page. 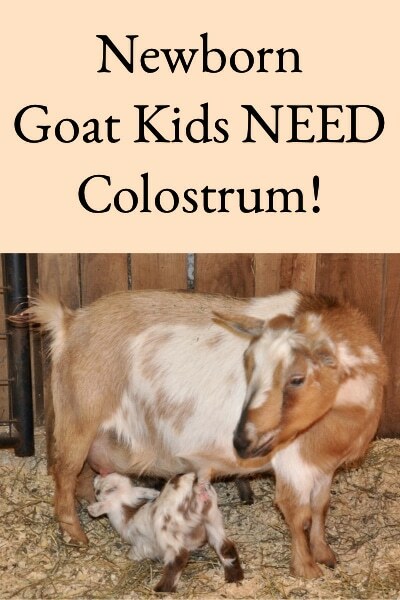 We’re still waiting on one more goat to freshen this week and five more at the end of May – beginning of June! 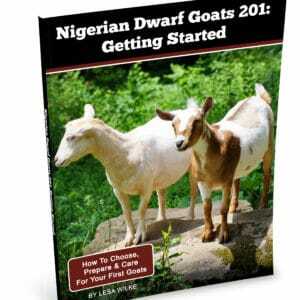 The kidding schedule is here: 2018 Bramblestone Farm Nigerian Dwarf Kidding Schedule. 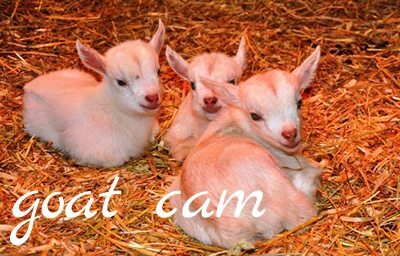 It’s awesome having baby goats in the barn again, they’re so joyful and so much fun! !